Retailers are constantly looking for ways to beat the competition, which is something that Target managed to do when it announced its new liberal return policy at a time when the retail industry is tightening its belt on returns. Target's new policy allows customers to return select merchandise for up to a year from the date of purchase. Considering that the average return time for similar retailers is 90 days, Target's new policy is a game changer. The decision to extend returns to a year was two-fold. First, Target has always tried to present itself as a big-box store that provides boutique-style customer service. However, its policies were more typical of discount department stores. Second, it was time for Target to take a hard look at what the competition was doing and how it could compete while maintaining its customer service goals. Knowing that some of its direct competition had more appealing return policies, Target decided it was time to change. With the new policy, Target now competes directly with Costco Wholesale, which has a "no limit" policy on returns for everything but electronics, which have a 90-day return window. While a one-year return policy sounds impressive, there are a significant amount of exceptions to be aware of. Most importantly, the policy applies solely to Target owned and exclusive brand items, with a few exceptions. Also, not all Target merchandise qualifies for the one-year return policy, so shoppers need to read the policy carefully to make sure it applies to their purchase. The problem with the policy is that there are hundreds of items sold at Target that are "owned and exclusive brands." Most shoppers will not know with certainty if the merchandise that they want to return falls under the policy umbrella. Also, Target regularly adds new brands to the list. 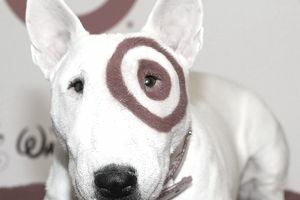 Some of the most popular Target brands include Archer Farms; AVA & VIV; Boots & Barkley; C9 Champion; Chefmate; Cherokee; Circo; Durabuilt; Designed/Distributed by Target (Holiday, Easter, Halloween, and seasonal products); Embark; Fieldcrest; Gilligan & O'Malle; Kid Made Modern; Liz Lange; Merona; Mossimo; Mossimo Supply Co.; Nate Berkus; ProSpirit; Pure Energy; Room Essentials; Shaun White; Simply Balanced; Smith & Hawken; Sonia Kashuk; Spritz; Sutton & Dodge; Threshold; up & up; Wine Cube; Xhilaration and Yoobi. Shoppers can also check the "Brand" web page on the Target website or contact customer service with questions. Target extended the return period for all Gift Registry items from 90 days to one year. The start date is the date of the event that is listed on the registry when the customer completes the registry form. Shoppers can return most new, unopened items at any Target store using a gift receipt or their Gifts Purchased List, which can be printed in the store or accessed online. The policies on the remaining merchandise at Target have not undergone any noticeable changes. Most items that are unopened (and in new condition) can be returned within 90 days for a refund or exchange. Refunds are only offered if the merchandise is accompanied by a receipt. Without it, customers can only exchange the merchandise for an exact exchange or the current selling price. Below is a partial list of exceptions to the 90-day return policy. For all questions regarding Target's return policy, visit the FAQ page at Target.com. Electronics and entertainment items are limited to a 30-day return window. Shoppers will receive a refund or exchange. Drones must be returned within 14 days for a refund or exchange. Open airbeds cannot be returned but may be exchanged for a similar item. Open or defective collectibles (e.g., sports cards, special edition Barbie dolls, porcelain dolls, action figures, and die-cast cars) cannot be returned. Purchases made at Optical, Pharmacy, Starbucks and Target Mobile must be returned or exchanged at these areas. Target Mobile Gift Cards and Target eGiftCards cannot be returned or redeemed for cash or credit except where the law requires the store to accept them. Gasoline powered items such as lawnmowers can only be returned to a Target store and must be completely emptied of hazardous substances such as gasoline or oil at the time of return. When customers pay for merchandise using the REDcard, they will receive an extra 30 days to return nearly all items. This does not include returns on mobile purchases, purchases with a fixed return date, or items specified as non-returnable. Target's new return policy sends a message to customers that the company stands behind its brands. The confusion of not knowing which brands are owned by Target can be confusing but shoppers always have the option to ask an employee.